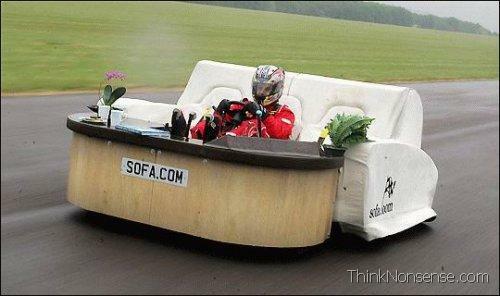 The picture you are looking at is not just a sofa but it is a car also. Probably advertising for sofa dot com. After reading this you’ll probably head upto sofa dot com. There are 99% chances of that. Just thought of sharing this picture from an e-mail. This looks to be a good example of how to do marketing of your stuff.